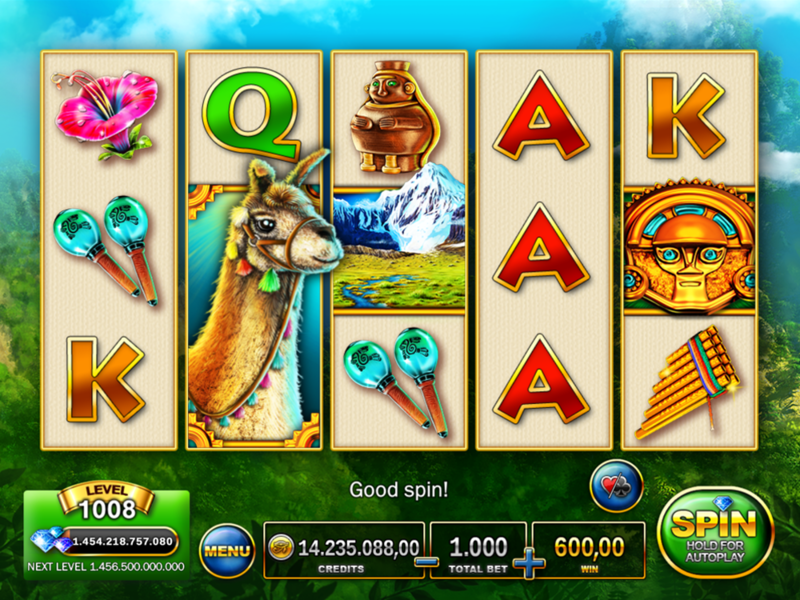 The Pharaoh invites you to join him on his way through the Enchanted Valley of the Incas. 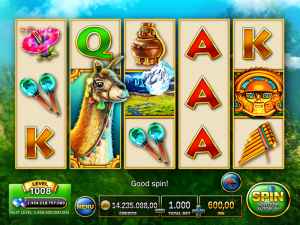 The Lucky Llama is here to help you to discover amazing bonuses and big wins on 25 win lines! 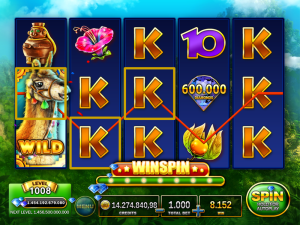 3 “Landscape” symbols trigger this bonus. 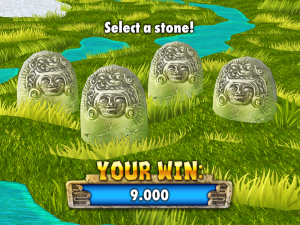 Pick a stone to increase your winnings. 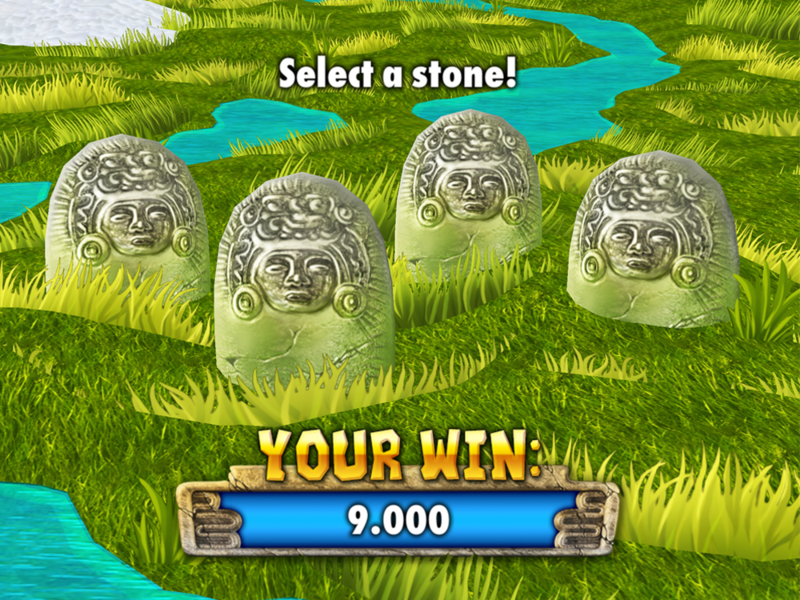 The bonus ends when a stone with an “X” is selected. 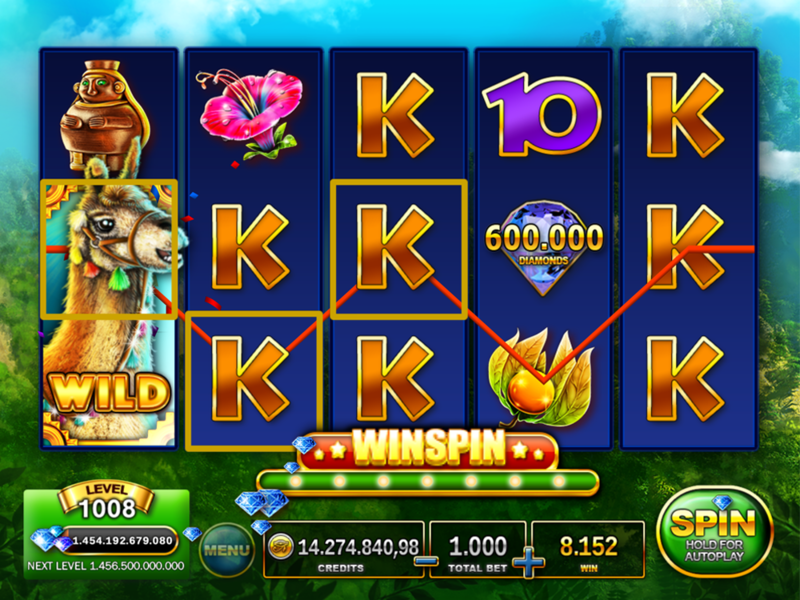 3 “Mask” symbols trigger 7 guaranteed wins on special reels!